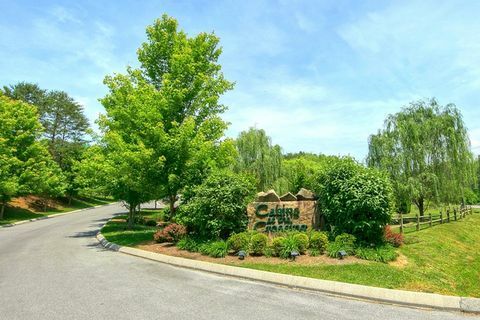 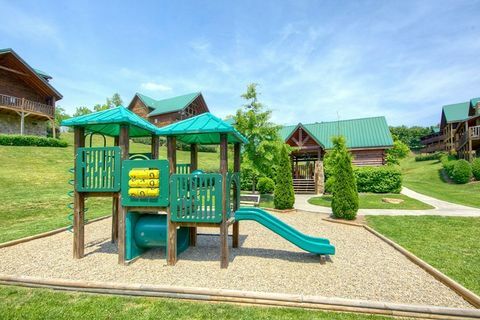 "Poolside Cabin," located in the beautiful Cabins at the Crossing Sevierville TN Resort, provides vacationers with 2-bedroom cabin rental near Pigeon Forge with swimming pool access. 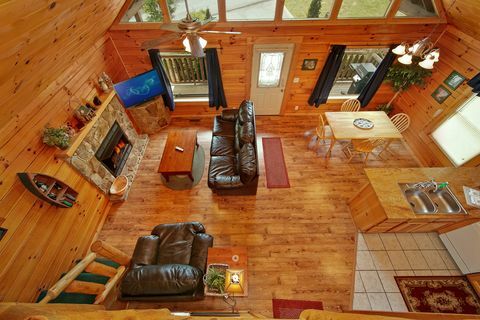 With a great location that's only minutes from action packed Pigeon Forge attractions, Dollywood, and top outlet stores, your fun filled vacation begins at this Smoky Mountains cabin rental. 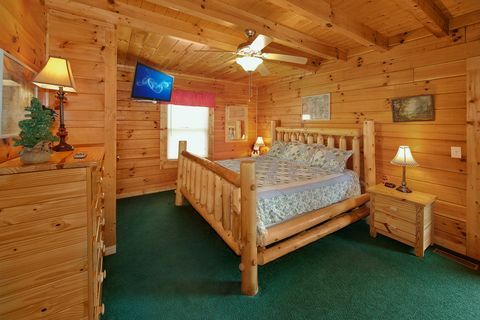 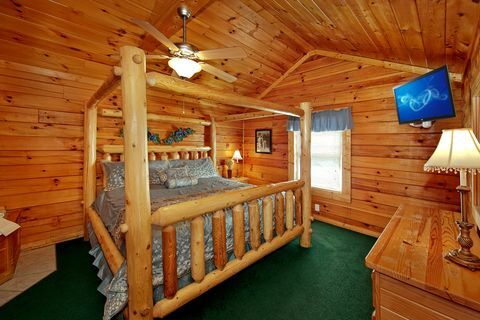 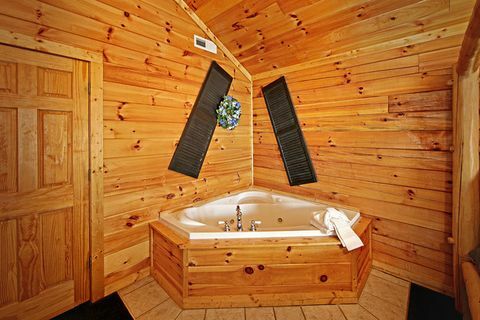 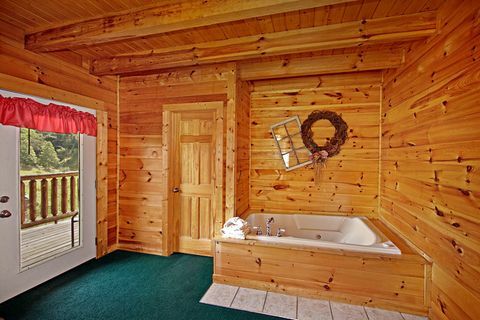 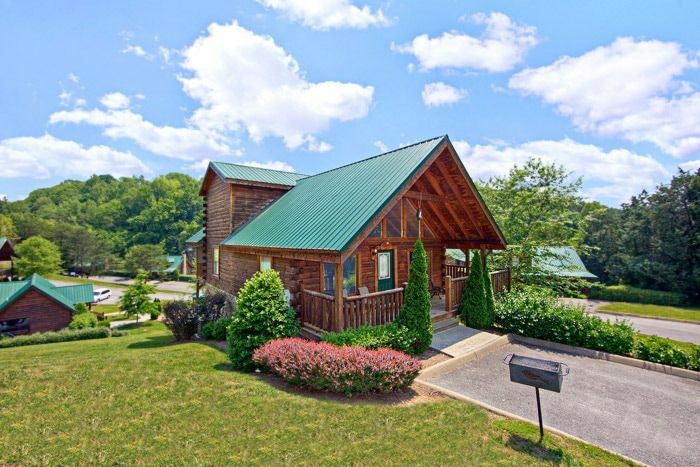 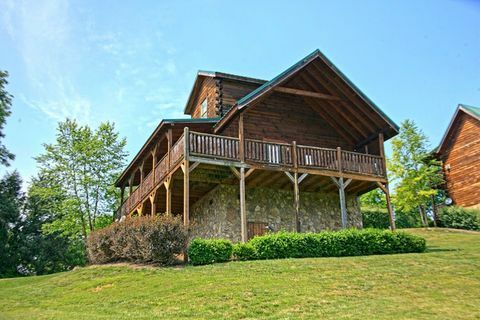 This 2-bedroom cabin rental near Pigeon Forge features two spacious king suites, which each feature their very own in-room Jacuzzi and television. 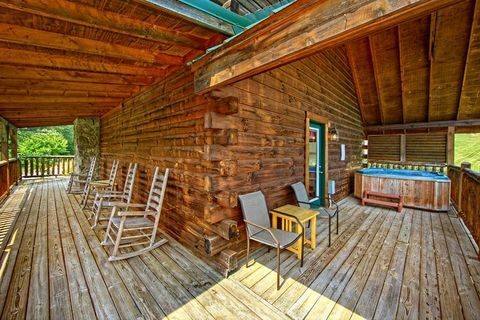 Family and friends can enjoy the large hot tub on the covered deck throughout the year. 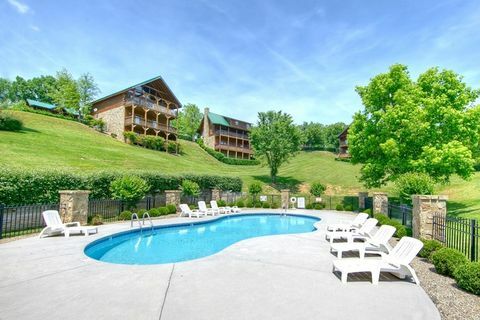 Summer months the Cabins at the Crossing Sevierville, TN resort swimming pool is a big draw with its clubhouse and free poolside WiFi Internet access. 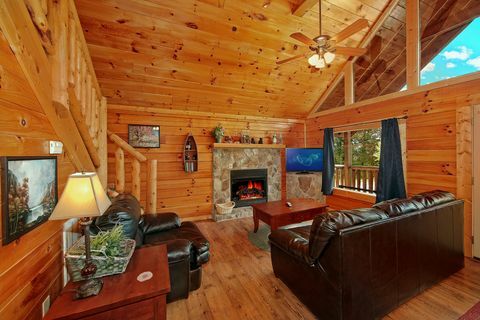 During the winter months, family members can watch movies by the glow of the cabin's fireplace. 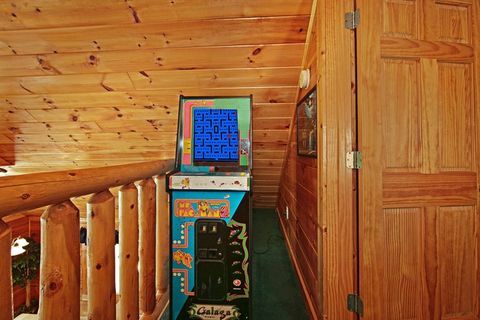 There's also a vintage Ms. Pac Man arcade game for a little friendly family competition. 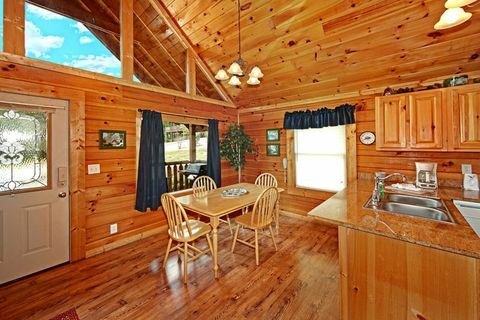 "Poolside Cabin" sleeps up to 4 guests and offers a fully equipped kitchen perfect for snacks to family meals. 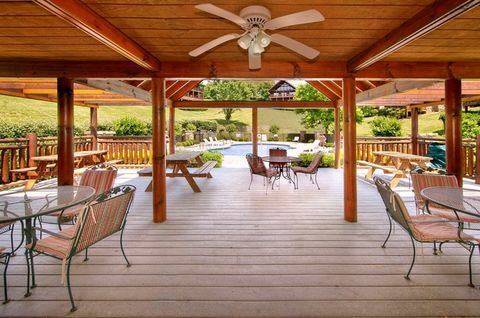 Love food hot off the grill? 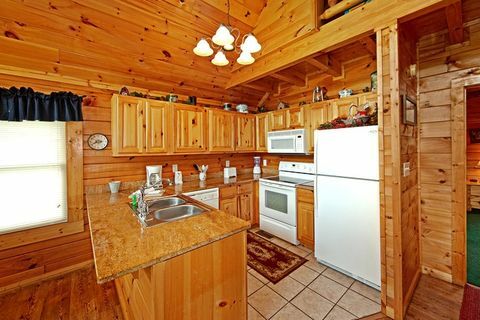 Your cabin rental's gas grill is standing by for the cookout in the mountain air. 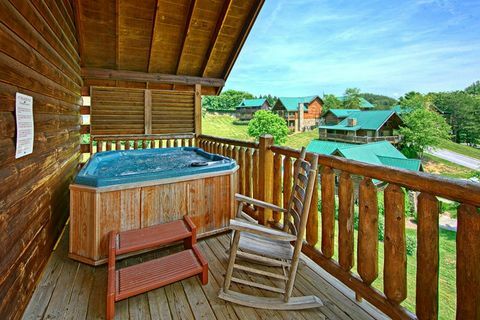 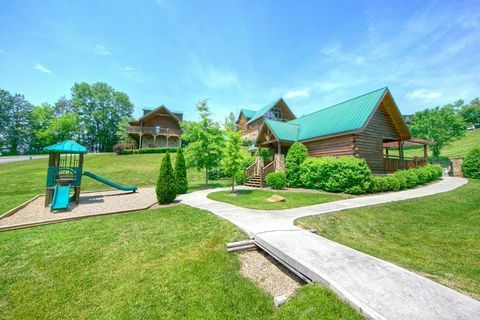 Whether looking for that perfect 2 bedroom cabin rental near Pigeon Forge for easy access to everything or a Smoky Mountains cabin rental nestled in a relaxing setting, "Poolside Cabin" provides a perfect start to your Smokies family getaway. Book Cabins At The Crossing Sevierville TN's "Poolside Cabin" online and get immediate Online Savings!